Kourtney Kardashian wore a Flattering shiny red blazer dress. 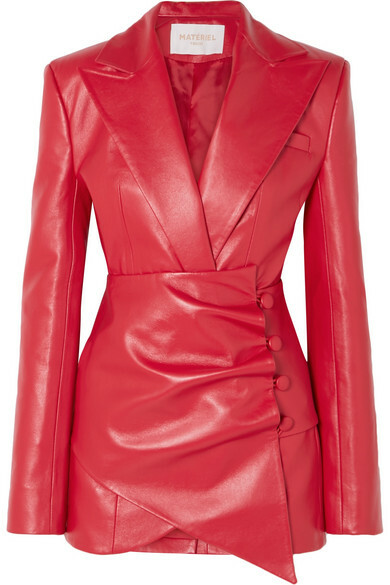 The flattering shiny red dress featured a faux leather material, extra long sleeves, peak lapel collar, button, cinched waist and asymmetric hem. She finished her look with red open toe sandals.